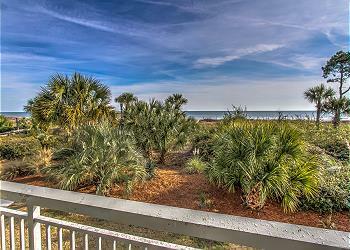 Breakers Hilton Head villas in North Forest Beach are the most excellent values for oceanfront villa vacation rentals. One-bedroom, one-bath properties that offer breathtaking sunrise views. Great for couples or small families, each has been remodeled to include hardwood floors, granite countertops, and creative use of hall-space. *Heated swimming pool, kiddy pool, covered parking, and on-site security help you feel self-contained yet still in the thick of all the fun! 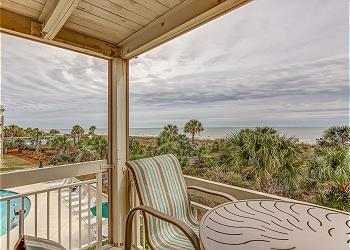 These Forest Beach oceanfront rentals in Hilton Head are across the street from Coligny Plaza (70 shops and 14 restaurants!) and next door to boardwalk shopping and dining. Just a hop and a skip to beach volleyball and the Holiday Inn Tiki Hut, you won’t know where to start each day. *The pool is heated during the months of March and April. Dates subject to change.